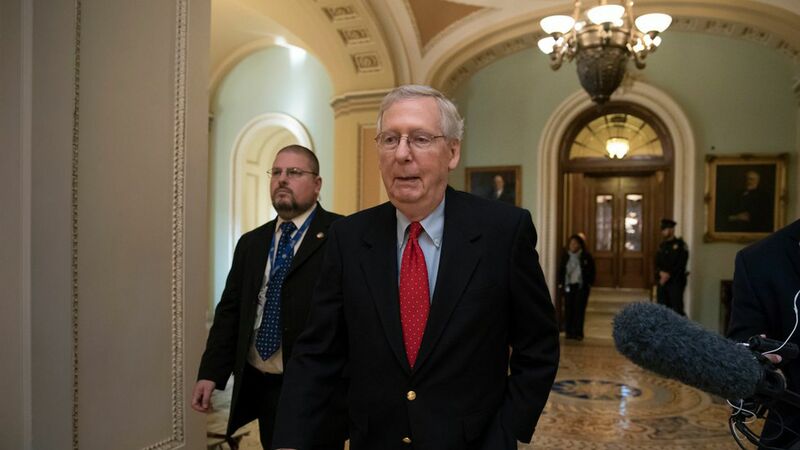 The GOP tax plan was passed through the Senate Friday night in a 51-49 vote. There are a number of things included in the last-minute text, including a provision by Sen. Gardner of Colorado that exempts Kombucha, a fermented tea drink, from alcoholic taxes and regulations. Why it matters: These are small examples of what got slipped in the bill last-minute as the Senate vote neared, and some reveal senators' pet projects back in their home states. Prohibit things like cash and gift cards to be given as employee achievement awards. Makes qualifying private religious school tuition deductible. Eliminate Congress' tax deduction for living expenses in D.C. Per the Omaha World-Herald, Ernst said: "Congress should lead by example and offer up its own unnecessary tax break." Treat Indian tribal governments as State governments for specific Federal tax purposes, and others. Tax exemption for Hillsdale College (and only Hillsdale College) in Michigan. The small Christian college has connections to Secretary of Education Betsy DeVos. It was ultimately struck out of the Senate's final version of the bill. Exempts cruise ships from taxes while docking in Alaska. Exempts kombucha, a fermented tea, from alcoholic beverage excise taxes and regulations. Allow deductions and credits relating to expenditures in connection with legal marijuana sales.